What preparation do practicing lawyers and policy-makers believe today's law graduates should have in international law, foreign law and legal systems, and skills training? Based on the international transactions, legal issues, and multi-cultural interactions they encounter in their work, what do they think we should ensure is in our curriculum? What are the key core areas we should be focusing on, in terms of both substance and skills? On this panel, speakers from private practice, government service and international organizations will address these questions. I'll be adding brief remarks from an international NGO perspective based on my time as legal director of Amnesty International in London. As a policy implementer in India, I always wanted to know what is the best approach to engage in the International Trade Law policy discourse in the World Trade Organisation as well as related fora. What International law courses are best suited for this? Thanks for your interest. 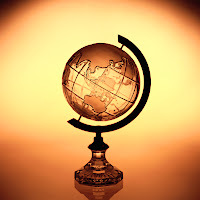 As it happens, I have just added a new blog, Trade and Environment Nexus, http://www.tradeandenvironmentnexus.com/, to our "connections" list. It might be of help. Most U.S. Public International Law casebooks now include some cases dealing with WTO issues. But as this is not my area of specialty, I'm afraid I don't have a specific recommendation. Thanks Diane! The blog did make interesting reading about the relevance of "environmental issues" on the multilateral trading system. I am a novice in blogging and have attempted the inevitable in http://treadthemiddlepath.blogspot.com focused primarily on WTO issues. I am aware of Public International Law courses in the U.S that deal with WTO Law. Thank you for your inputs! In Kenya, ICC intervention, domestic solution? Obama & foreign policy: Right-of-center Democrat?